response from property - Feb 28, 2019 thank you so much! we appreciate the good feedback. Have a blessed day. I feel comfortable in the unit i'm in and the overall experience.submitted by Cory L. - Jan 01, 2019 |Recommended: YesThe staff have been very helpful, friendly and expedient and the community, though sometimes boisterous, is nothing outside expectation for many families and people seem to generally get along. Compared to what I do know of Houston living here has been a good experience thus far. EL SOL DEL RIO APARTMENTSsubmitted by Sandrine V. - Dec 01, 2018 |Recommended: YesI LOVE THIS COMMUNITY BECAUSE ITS SO QUITE AND BEAUTIFUL. MANAGEMENT AND ALL STAFF MEMBERS ARE REALLY HELPFUL. MAINTENANCE ARE REALLY QUICK. I ALWAYS RECOMMENDED THIS COMMUNITY TO OTHERS. HERE WHERE I LIVEsubmitted by Oliver S. - Oct 09, 2018 |Recommended: YesWe are really happy as a residents here. Good management cooperative staff and quick maintenance. 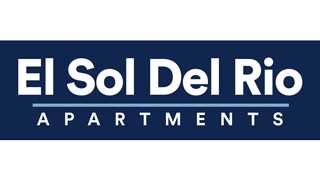 response from property - Feb 28, 2019 We are very pleased to hear you are happy here in El Sol Del Rio. Thank you so much for this wonderful review. The current staff is outstanding for service deliveries.submitted by Talmadge J. - Oct 03, 2018 |Recommended: NoThe complex offers an environment of community. No flooding occurs. Notifications are given in a timely fashion. The exit gate is an issue that is challenging because people choose to enter into it because they either do not have an entrance key or refuse to drive around the complex. The gate issue allows speedsters to drive through the gate dangerously on their motorcycles or in their cars without regard for others. response from property - Feb 28, 2019 Good morning , Thank you so much for your wonderful review. EL SOL DEL RIO APARTMENTSsubmitted by Olamitutu F. - Sep 01, 2018 |Recommended: YesWE LOVE THIS COMMUNITY. MANAGEMENT AND THE STAFF ARE GOOD. EL SOL DEL RIO APARTMENTSsubmitted by Md I. - Sep 01, 2018 |Recommended: YesHere we Live Good maintenance management .. Always ready to help us. Really clean and calm community..
EL SOL DEL RIO APARTMENTSsubmitted by Mary M. - Aug 29, 2018 |Recommended: YesTHIS COMMUNITY IS REALLY CLEAN AND CALM. I DEFINITELY RECOMMENDED THIS COMMUNITY TO MY FRIENDS AND FAMILY..
response from property - Feb 28, 2019 Thank you for this wonderful review. Peaceful Communitysubmitted by Ricardo H. - Aug 29, 2018 |Recommended: YesHere Where I live We love this community. It is very calm and peaceful place. HERE WHERE I LIVEsubmitted by Azmir K. - Jul 28, 2018 |Recommended: YesWe are so happy as a resident here. Really nice management and staff. They have really good referral programme going on. I got my referral as well. The online payment is really good idea. We are really enjoying our residency here at EL SOL DEL RIO. I always recommend my relatives and friend this community..
response from property - Dec 26, 2018 Good morning Mr Azmir, We are appreciate your feed back. Thank you so much ! My only complain is the both the kitchen and bathroom cabinet tops.submitted by Cynthia E. - Jul 12, 2018 |Recommended: Yesmy answer would be, it is a five star living community and that is my experience residing here almost a year. HERE WHERE I LIVEsubmitted by MD S. - Jul 11, 2018 |Recommended: YesIt is really nice community. We are so much happy as a residents. Management are always ready to help us. Maintenance service is really good. Office staff is cooperative. We would like to recommend our relatives here . response from property - Dec 26, 2018 Good morning, thank you so much for your review. We are really glad to have you here as residents.